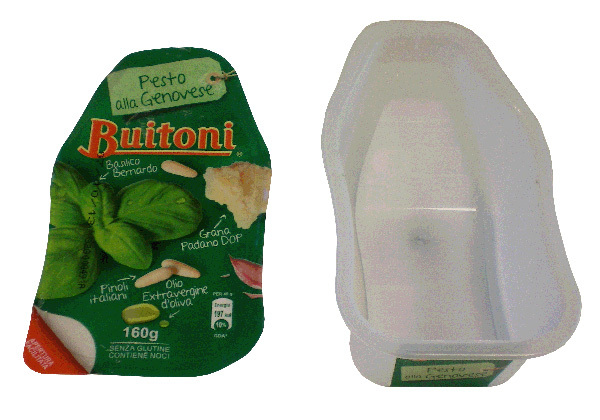 Nestlé has redesigned the packaging of Pesto Fresco Buitoni, eliminating the inner lid in PP (polypropylene) that separates the product from the sealing film. The result of the intervention was a 35% savings in raw materials and improvement in logistics, optimising the load per pallet. Furthermore, the new design was also studied to make it easier to empty the tray, therefore also facilitating transfer to separated waste receptacles. As of 2009, Nestlé Italiana SpA has employed an Environmental Management System certified to UNI EN ISO 14001 standards. Simplification of the packaging system and subsequent savings in raw materials resulted in a reduction of environmental impacts during the production stage and management of the end-of-life stage of the packaging.